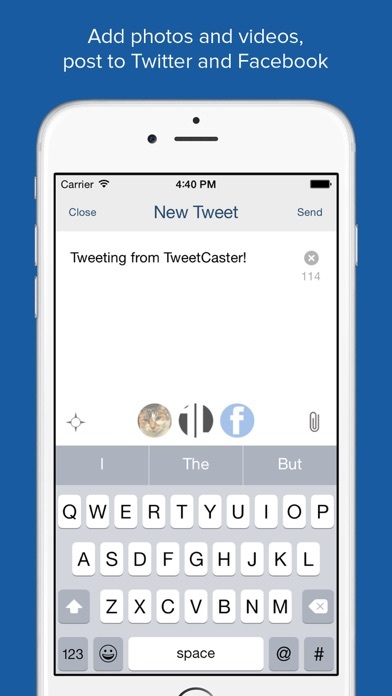 TweetCaster is the #1 Twitter app for iPhone, iPod Touch and iPad and the ONLY app with Search Party, SmartLists and Zip It! 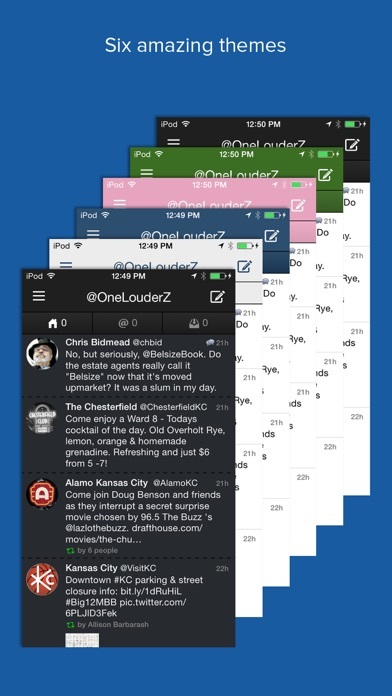 ***TweetCaster Pro is the ads-free version of TweetCaster. 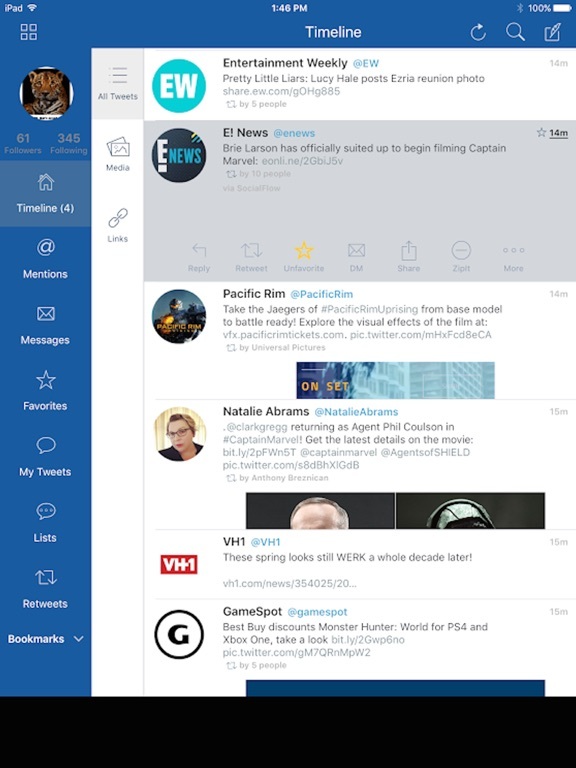 TweetCaster features a clean, attractive interface that users love, plus it's lightning fast. 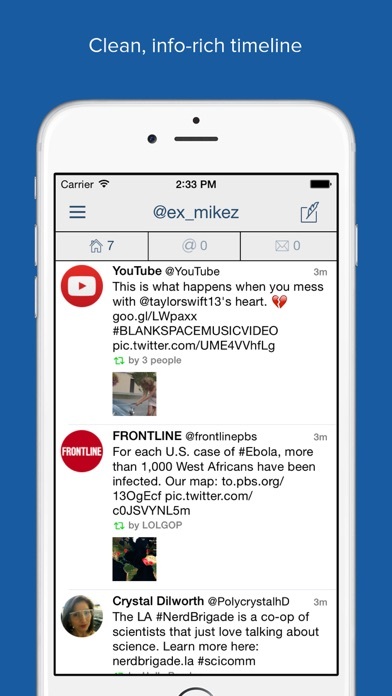 And TweetCaster has the BEST features--some expected, some unexpected--that make your Twitter experience better. Want to simultaneously post to Facebook and Twitter? It’s there! 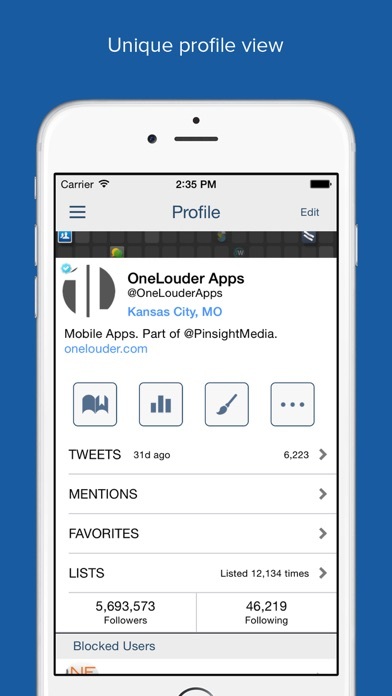 Want to manage more than one Twitter Account? No problem! Want to share the music you’re listening to? Simple! 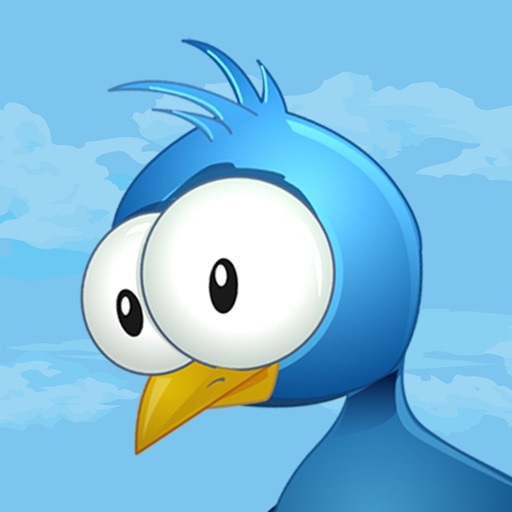 Want to hide annoying Tweets without unfollowing? Done! The iPad version has been designed to take advantage of the iPad dimensions and new iPad retina display, and it is stunning—check out its innovative dashboard! •Search Party – Unlike basic Twitter Search, Search Party lets you can narrow down your search for the best possible search results. So what are you waiting for? 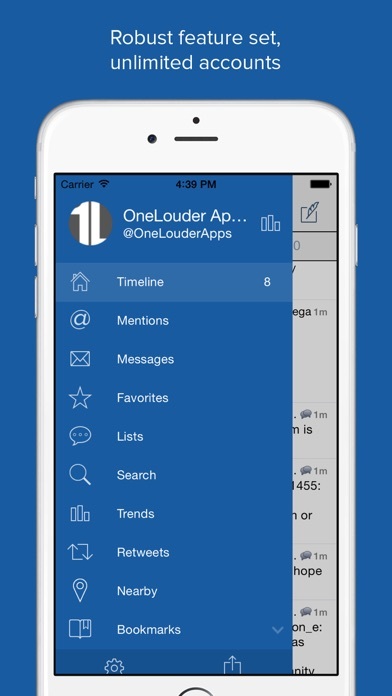 Tweeting from your iPhone, iPod Touch or iPad just got a whole lot better.